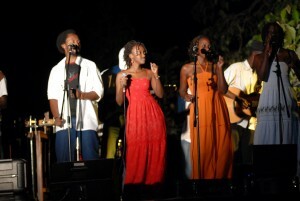 Qwela is an Afro fusion outfit that has taken the music scene by storm with their upbeat. The leader Joseph Kahirimbanyi commands a strong contingent of talented individuals who have the potential to change the arts scene as we know it. Dressed casually in blue jeans and an African print shirt, he strikes me as a rather calm person who seems to be in control of his business. His calm visage belies a man dedicated to his work and as we start and progress with the interview, I find myself growing more in admiration of his inner intelligence. I prep him on the kind of questions I intend to ask him and we are good to go. He still maintains a phlegmatic pose I am still impressed and can understand why he is an artist and a successful one at that. Q: What is the genesis of your musical journey? As far back as I can remember, the love of music has always been in my blood. I remember pestering my mother to buy me a guitar (he smiles as he reminisces). As I grew older, I did not consider it as a career because it was never offered as an option for the future. Q: Tell me what you consider was the defining moment for you? It is not just one moment, but rather a series of moments. 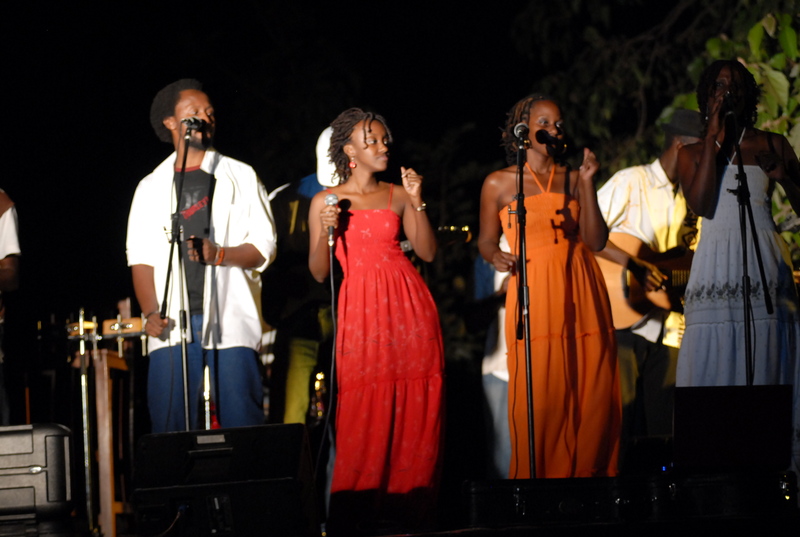 In my A level at Ntare School, we formed a gospel music group called Desert Streams. It was at this point in time that I started believing in music because we took it really seriously. The group was made up of six members basically singing acapella and back up tracks for the purposes of evangelism. After a while the group split up with everyone going separate ways. Q: This group seems to have been a really crucial stage in your development. What happened after? I founded a graphics company and did some other stuff. It was more of a dry spell artistically so I decided to explore my options. I quickly realised that I was not satisfied and decided to go back to my first love, music. This was the beginning of Qwela. We had a couple of false tries. One of the names I came up with is Kilele Sounds, which was unanimously rejected by all the members. Eventually, Qwela came up, which is a Zulu word meaning arise. It also has a double meaning with the Rukiga derivative, Kwera, which means bright. At this stage, the band was really a concept. 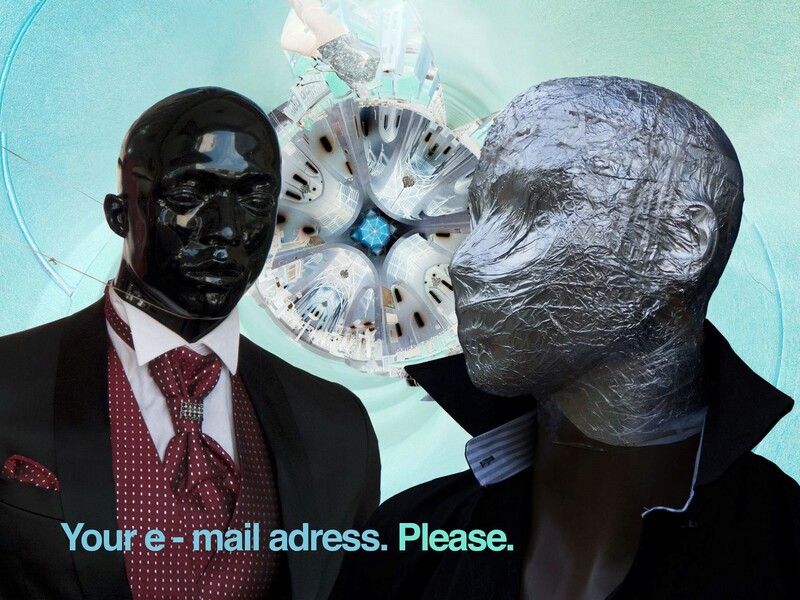 Q: So when did you start business? Our first gig was a birthday party. We started the band around early 2007 and has evolved over time with a number of members joining and leaving. 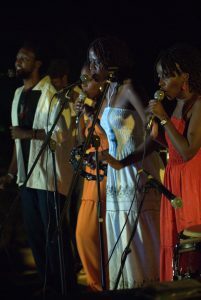 The band presently has eleven members. Q: What is the working process like? Q: What do you owe your success to? Working with more talented and skilled individuals than I am and my only claim to fame is starting the band. I accept that and respect everyone’s input. The people in the group are very mature. I am privileged to be in a band where the members make me look good. There is enough talent going around and the members are very focused individuals. Q: You speak very fondly of the members. What kind of bond do you share among yourselves? Relationships across the group and we are a very tight knit family where a complex dynamic is present. Various layers exist and this facilitates rather than hinder the creative process. Q: Surely, a man of your ambitions would have his eye on the international scene as well. Definitely. 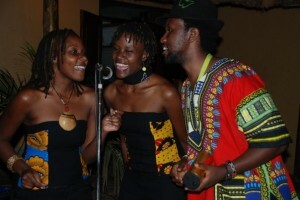 We do most of our gigs in and around Kampala because we are well resourced here and our audience is more in this area. However, we have plans to go to countries in the region with a possibility of going even further. I feel there is a need to grow a base since there is now greater appeal for our music and a better sound from the band. Q: Who do you consider your greatest influence? I have a lot of influences personally. The first music I listened to was from a semi traditional music group playing Rukiga songs which they recorded on cassettes. Then it was zouk from the Central African region in the 80s, Lucky Dube and Bob Marley (who is his greatest influence) and then the Rhythm and Blues era that swept everyone off their feet, even to this day. All these have affected my sense of rhythm in ways that I cannot even sense. It is the listeners who are quick to pinpoint similar aspects in the music. I find it amazing. Q: This must be daunting for you especially when it comes to maintaining your identity. How do you do overcome this? I try not to box myself in and believe in channeling my creative juices. 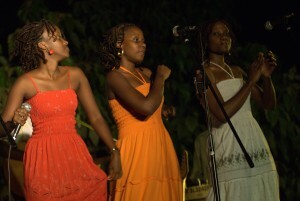 I decided on Afro-fusion because I wanted an authentic African sound that had international appeal. For me this has not been an easy choice and I am constantly evolving to get myself to the sound that I need. An hour later, I find myself more knowledgeable of the music that Qwela makes and truly understand what makes this band, a force to be reckoned with.